I love the one about the boss who asks the employee, "Who's the stupid one, me or you?" to which the employee responds, "Everyone knows you don't hire stupid people!" Despite this guy's misguided strategy, experienced people know that you get the best results when you hire the best. 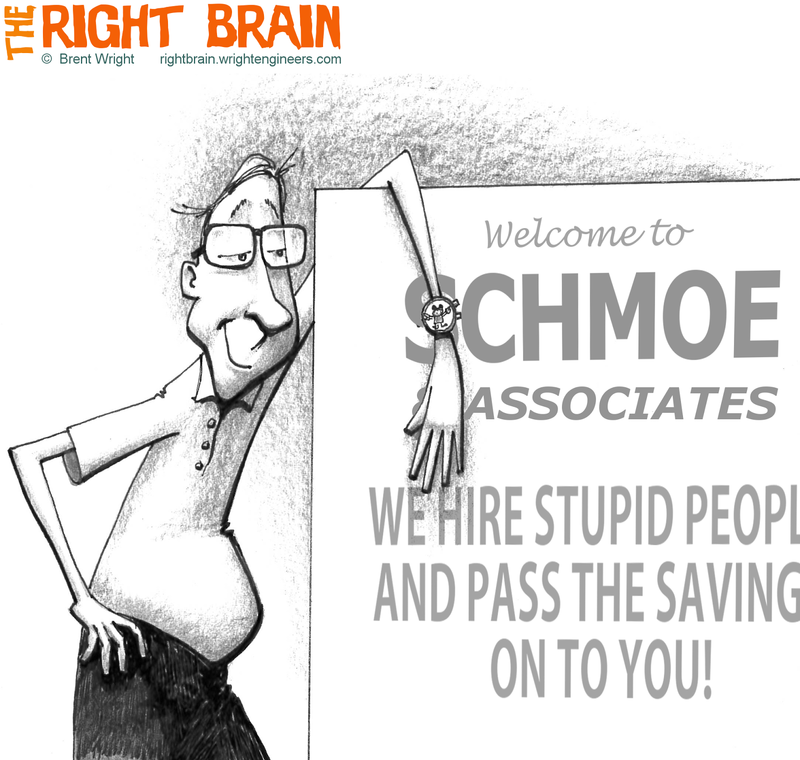 For more cartoons making fun of the notion that you save money by hiring less-than-the-best, click here.